In the year 2000 I was given three of these shrubs, all ridiculously low in price. They immediately started growing well in the mixed planting at the back of Middle Garden. But I should have guessed that something was wrong. Cream is not apricot, colourwise! A coloured Phormium (Tricolor) nearby created an inspired backdrop for the subtle flower colours. But therein lay the problem. 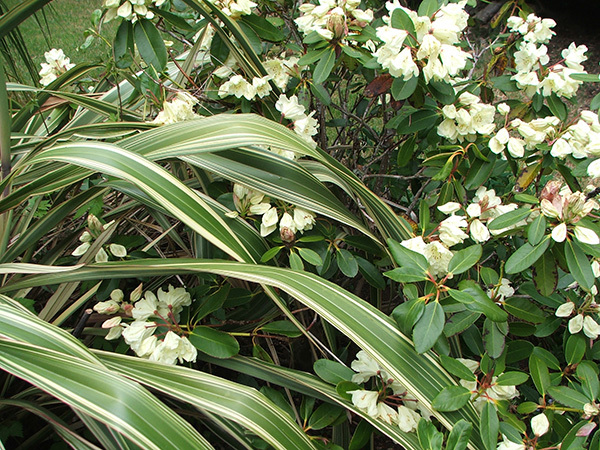 I even wondered if there was a rhododendron called Whitney's Cream. And then, as busy gardeners tend to, I wandered off to work on something else, and totally forgot about the name versus colour dilemma. For the last ten years, any fellow gardener who did a Google search on Whitney's Apricot would have found my beautiful cream and lemon shrub. How embarrassing! 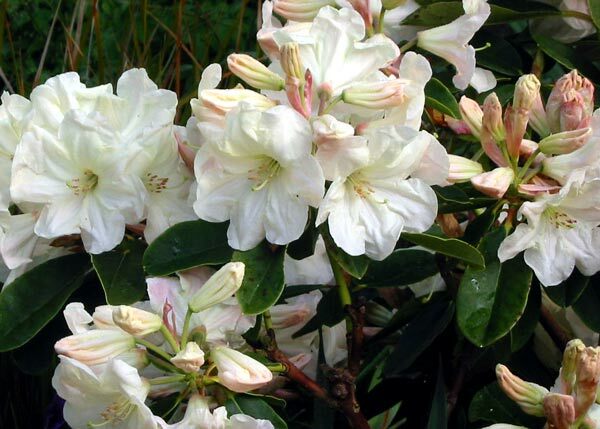 Time to put things right, and apologise to the Whitney rhododendron breeders. More likely the rhododendron was wrongly labelled as a Whitney's Orange (which does have apricot shades, and is absolutely beautiful).